​Although our environment is intentionally casual and inviting, we are well equipped and prepared to manage the most complex medical needs. Our highly skilled multi-disciplined teams of caregivers provide expertise for pain and symptom management. To ensure a continuum of care, we work with the residents’ existing physicians, social workers and caregivers. We are always on-site and engaged. Memory Problems: Problems with memory and disorientation (e.g., Alzheimer’s disease and other forms of dementia) often get in the way of doing normal daily activities and communicating with others. 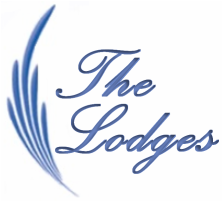 Our staff at the Lodges is specially trained to understand these concerns – managing the behavior issues that sometimes accompany them, along with the frustration, fear, and confusion they may experience. Physical Disabilities: A variety of physical disabilities and chronic health conditions can make it harder to do every day activities like walking, getting dressed, bathing, and preparing meals independently. But our staff helps with all of these and other daily tasks (e.g., incontinence care), making sure all of their daily needs are met, regardless of the severity of their health concerns. Head Injuries/Mental Health: Strokes, depression, and sleep issues can also play a big impact on your loved one’s life, affecting everything from memory to concentration and how they feel on a daily basis.